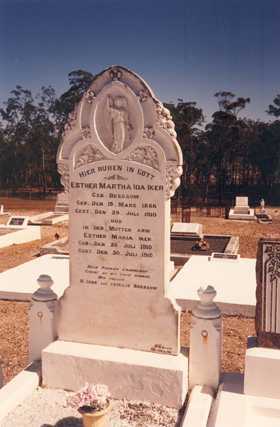 This cemetery is located in Behm's Road, Norwell west of Jacob's Well in the north Gold Coast area of Queensland. The earliest death recorded on a headstone is that of Elizabeth Dorothea Kleinschmidt in 1881. This transcript was made in December 1995. It's a terrific genealogy tool for anyone building their family tree or exploring their family history.